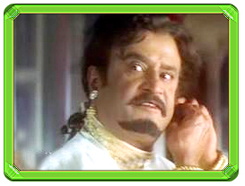 Rajinikanth Film Review From Chandramukhi. Chandramukhi Movie. Rajini Film Chandramukhi. Rajinikanth Chandramukhi movie. www.rajinikanth.com. Superstar Rajinikanth portraying Saravanan, the Psychiatrist weaves magic with his unmatched style and lively presence in Chandramukhi. His introduction, as usual, through a stunt sequence with special effects sets the right mood. From start to finish the film moves at jet speed.s Even the titles (done by Soundharya Rajinikanth's 'Ochre Animations') are appealing. Senthilnathan (Prabhu) and his wife Ganga (Jothika) buy a property which is supposed to be haunted. The palace belonged to the King Vettaiyan who had kidnapped a dancer Chandramukhi to satiate his desires. On coming to know of her love for a fellow dancer, he killed the dancer in front of Chandramukhi's eyes and then burnt her alive. When Ganga comes to know about the story of Chandramukhi, she starts behaving like her. Many strange happenings take place in the house. Senthilnathan’s uncle (Nasser), his daughter Priya (Malavika), and his elder sister Akilalandeshwari (Sheela), along with Murugesh ( Vadivelu) who is Senthil’s cousin, come to stay in the Palace. Saravanan (Rajinikanth) a psychiatrist comes to the rescue of Senthilnathan. He first identifies Durga (Nayantara), the granddaughter of the gardener (Vijayakumar), behind all the strange happenings in the house. Slowly the mental condition of Ganga starts getting worse; now Saravanan combines medical science with witchcraft to bring Ganga out of her mental state as Chandramukhi. Rajinikanth is in his charismatic self. He is back in full form. It is however Jothika as Ganga, who steals the show. This film can be attributed to be her career's best. It will be no surprise if she bags a few well deserved awards for this movie. Prabhu has given a noteworthy performance. Vadivelu provides an effective foil to Rajini in the comedy scenes. Nayantara as Durga fits the bill though she has a minor role in the film as the Super Star's love interest. She looks ravishing in song sequences. Vineeth and Malavika provide the required elements for their characters.Seasoned artistes K R Vijaya, Sheela, Vijayakumar and Nasser play their parts with ease. P Vasu has given a neat family entertainer, which will also satisfy the superstar’s fans. Vidhyasagar’s music is already a hit. The intro song “Devuda” and “Athinthom” are well choreographed. Dhalapathi Dinesh’s stunt choreography needs special mention especially the Rajini intro fight is well done. Sekhar Joseph’s Cinematography has caught the exotic locales of Turkey well. No doubt, Chandramukhi, a real 'Chandran' of the movies released on the festive occasion will cast exuberance in the minds of the Tamil movie buffs. "Laka Laka Laka Laka Laka Laka....."